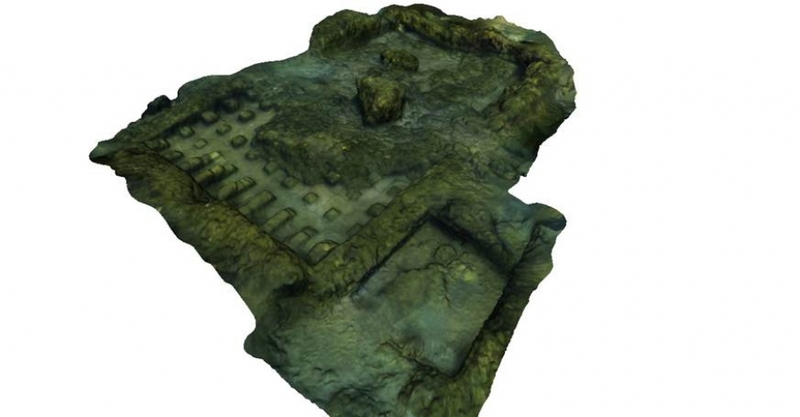 From 19 to 22 June 2012, a number of diving sessions took place in the Underwater Archaeological Park of Baia di Bacoli (Naples) in order to carry out the 3D survey of a hall of the caldarium with the floor on a suspensurae of the "Domus with prothyrum entrance" (Villa a Protiro). It is a room of approximately 5 x 8 meters, located at a depth of about 5 meters. The 3D reconstruction was performed using multi-view techniques, implemented through the use of open source codes. The activities were carried out by researchers of Unical and ISCR, under the supervision of an official of the Archaeological Heritage Superintendency of Naples and Pompeii.